Are you one of those Mac users who generally turns on the F1, F2, keys as standard function keys option in System Preferences? If you do that, then if you want to use your keyboard to control the volume or the screen brightness, you need to find the Function (or Fn) key. (Alternatively, if you don’t turn it on then you need the Fn key to simulate F1, F2, and so forth keypresses). 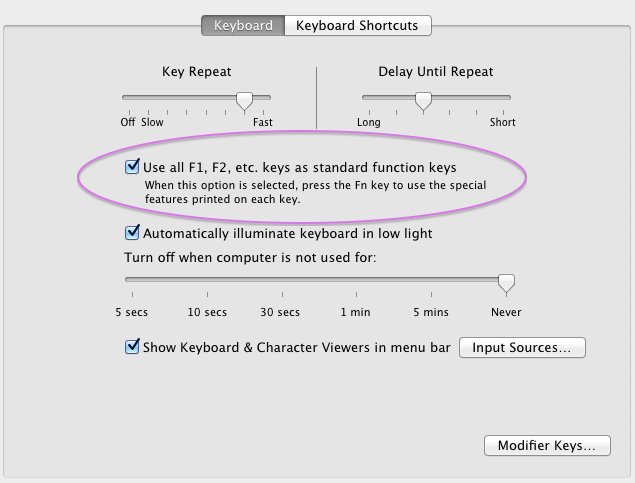 Do you check off the box in System Preferences > Keyboard that makes the F keys behave as standard function keys? I usually do. I think I only ever use the Volume Control function on the keyboard anyway. 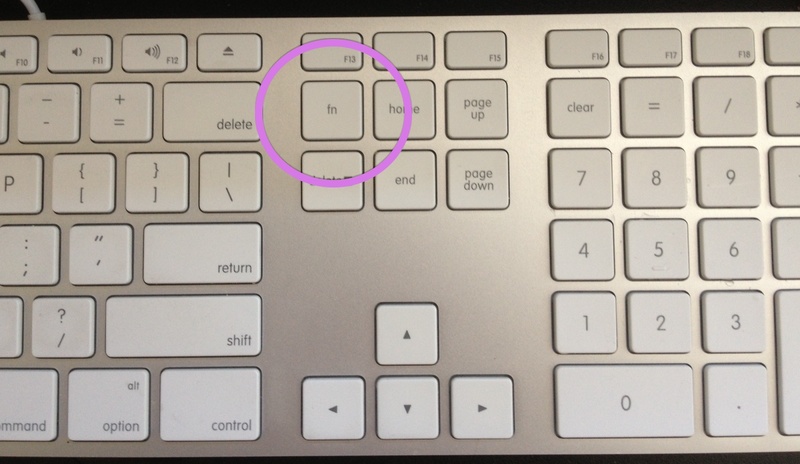 On the laptop and the wireless keyboards, Apple usually puts the Fn key on the lower-left hand corner, next to the “Control” key. But it’s not there on the full-sized Apple Keyboard with the numeric keypad! Ha, it’s in the middle of the keyboard between the letters and the numeric keypad, right below the F13 key and above the Delete key! 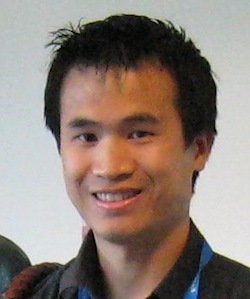 This entry was posted in Devices, Personal productivity and tagged apple, Apple Keyboard, Apple Wireless Keyboard, computer, Fn key, Function key, function keys, keyboard, mac os, mac os x, technology on August 8, 2013 by irwinhkwan. Thank you! Never noticed it there. I couldn’t find the fn key until you pointed it out. Thanks! That doesn’t work on the old usb mac extended keyboards! No fn key! Well one photo explains better than hundreds of web sites! Thank you. I was ready to change my new keyboard with a numeric pad to a shorter one, but You made my day, thank you so much! Thank you! I’d never find it!